An example of Marion Frost's attention to the arrangement and framing of her photographs on the page. 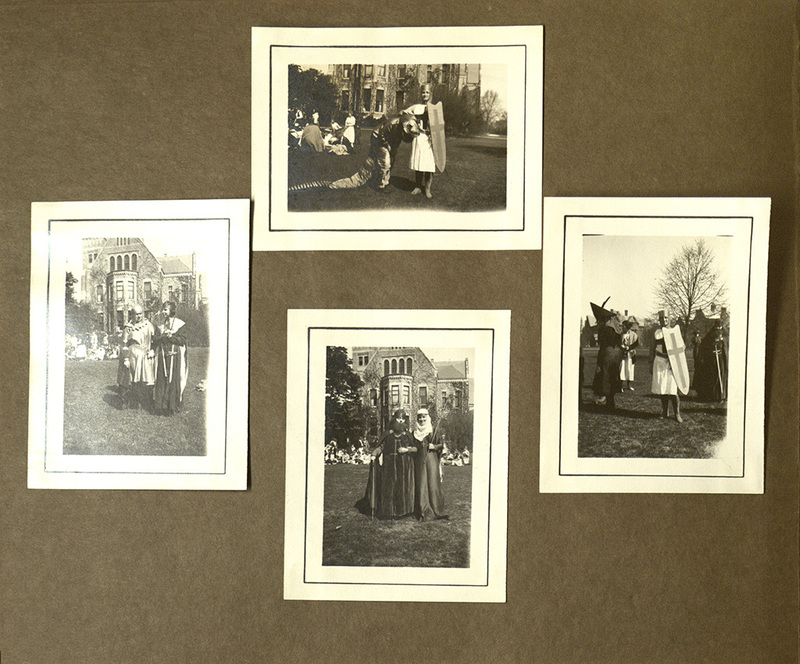 Much can be said about Marion Frost’s portrayal of Bryn Mawr College through her camera lens and artwork. The careful consideration of each item included in the scrapbook, in addition to the attention placed on the arrangement of the pieces strongly suggest Frost's intention of creating a document meant to be admired by viewers.Though Frost's personal touch is diffused throughout the scrapbook, the distance between her personal life and what she chose to appear in the book evokes the formal nature of artist's portfolios. Well-curated, the document serves to paint a vivid image of the campus in 1920.